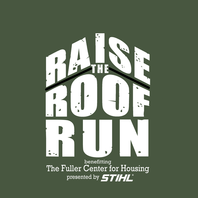 Launched in 2005 by Habitat for Humanity co-founders Millard & Linda Fuller, The Fuller Center for Housing is a 501(c)(3) non-profit organization dedicated to eliminating poverty housing worldwide. The Fuller Center currently works in over 70 U.S. cities and 16 countries, and has housed over 3,800 families since its founding. Working under the “Partnership Housing” model, The Fuller Center is empowering families by offering a “hand-up” out of the cycle of poverty. Partner families build alongside our volunteers and then repay the costs on terms they can afford -- with no interest charged, and no profit made. As their payments go toward work on other houses, Fuller Center families become donors in their own right, demonstrating the principle that it is more blessed to give than to receive. The Fuller Center for Housing is based in Americus, GA.